Philip Steuernagel has been selected as the new principal of McReynolds Middle School. Steuernagel has 16 years of experience in education as a bilingual teacher, ESL college adjunct instructor, assistant principal and most recently principal of R. Martinez Elementary. Under his leadership, student enrollment has increased, and the campus has made significant academic gains. 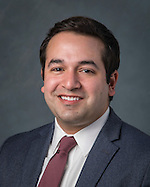 Prior to Steuernagel’s arrival, R. Martinez was rated as an Improvement Required campus, and under his leadership it has been rated as Met Standard each year he has been principal. Steuernagel earned his Bachelor of Arts from American University in Washington, D.C. and his Master of Education from the University of Houston. This entry was posted in Staff updates and tagged McReynolds MS on August 9, 2018 by HISD Communications. The colorful banners hanging on the fence between the HISD baseball field and the Hattie Mae White Education Support Centers are eye-catching works of art by district middle-school children. They were put on display recently after being displayed at the City of Houston’s Hiram Clarke Multi-Service Center in December to honor World AIDS Day on Dec. 1. This entry was posted in Achievement/Recognition, Art, Fine arts and tagged CCM Foundation, Houston Health Dept., Lawson MS, McReynolds MS, Meyerland PVA MS, World AIDS Day on April 23, 2018 by HISD Communications. Steven Stapleton has been selected to be principal of McReynolds Middle School. He began his teaching career at Madisonville Consolidated ISD and Dickinson ISD as a physics and chemistry teacher. He then moved to Alvin ISD, where he served as district technology-curriculum specialist, assistant principal, and most recently, director of professional learning and innovative teaching. Mr. Stapleton received his bachelor of science in Biology with a concentration in teaching from University of Texas at Austin. 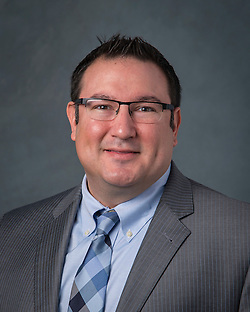 He earned his master’s in Education Administration from Lamar University and is currently pursuing a doctoral degree in Educational Leadership from Texas A&M University. This entry was posted in District VIII - Diana Dávila, Staff updates and tagged McReynolds MS on August 6, 2015 by HISD Communications. The Moran Norris Foundation is treating 150 students from six HISD middle schools to a shopping spree on Friday, May 8, 2015, at Target South Central, 6500 South Main, 77025. In the “Shopping for Good Character” program, students from Cullen, Dowling, McReynolds, Marshall, and M.C. Williams middle schools, as well as Woodson Leadership Academy, were selected by their teachers for excellent attendance, great character, and the ability to make good choices. Each student receives $100 to purchase items for themselves and family members. They are also treated to lunch, courtesy of the foundation. This entry was posted in Achievement/Recognition, District I - Elizabeth Santos, District II - Rhonda Skillern Jones, District IV - Jolanda Jones, District IX - Wanda Adams, District VIII - Diana Dávila, Middle Schools and tagged Cullen MS, Dowling MS, Marshall MS, MC Williams MS, McReynolds MS, moran norris foundation, Target, Woodson Academy on May 7, 2015 by HISD Communications.